TaskAway Services is the leader in Pressure Washing in The Woodlands, Magnolia, Conroe, Montgomery and Spring, Texas and the surrounding areas. TaskAway Services is your one-stop solution for all aspects of residential and commercial exterior cleaning! Your property is an important long-term investment. Let the professionals at Taskaway Services make your home or business stand out with our attractive solutions. There’s no time like the present to make your home look beautiful again! Protect your biggest investment with cleaning from the professionals at Taskaway Services. 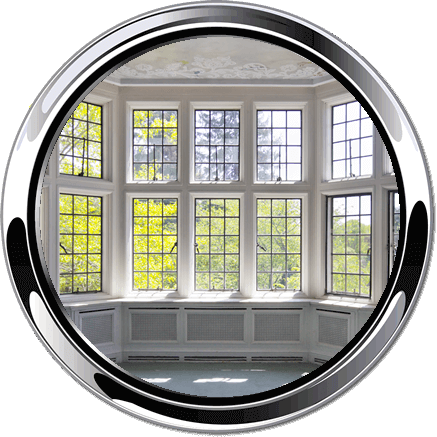 We make it easy for you to enjoy your property with simple, trustworthy solutions. At Taskaway Services, we’re professional cleaners who specialize in every aspect of exterior cleaning and power washing. From house washing and roof cleaning, to removal of debris from gutters, pressure washing sidewalks, and rust removal, we can do it all! 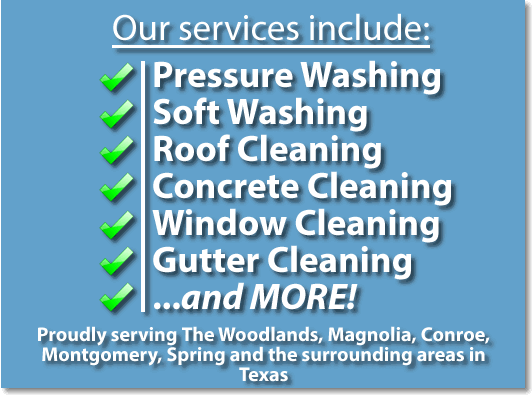 If you’re looking for Pressure Washing in The Woodlands, Magnolia, Conroe, and Spring Texas, you’re in the right place! Take a look at the details about our services below, and see how we can help you restore your commercial or residential property! 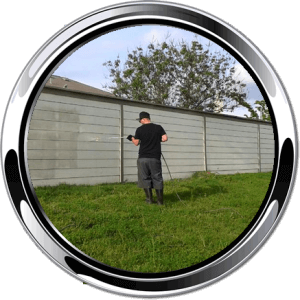 We use a variety of different pressure washers, including cold and hot pressure washers, to achieve unbeatable results when cleaning a tremendous variety of materials. Got a commercial parking lot that’s seen better days? We blast away dirt and grime – leaving you with a beautiful, perfectly restored parking lot! Need to remove deck stain or restore your patio? We blast away dirt, grime, algae, and more. No matter what material you need to pressure wash, we’ve got the experience, tools, and knowledge to exceed your expectations, and provide you with incredible service. 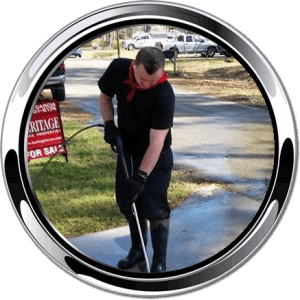 Soft washing is a specialized form of pressure washing, using a lower PSI (pounds per square inch) pressure washer and advanced detergents/chemicals that remove algae, dirt, and mold. This form of pressure washing is perfect for cleaning homes and siding, and even some kinds of glass – without risking any damage to your home or business. Roof cleaning is critical for the longevity and lifespan of your home. Without regular roof cleaning, dirt and debris can become lodged under shingles and tiles, and issues such as algae and mold growth will continue unchecked. Without regular cleaning and maintenance, these issues can seriously damage the structural integrity of your roof, and result in a costly roof repair or replacement. So trust Taskaway Services to provide you with professional, expert roof cleaning services. We can remove dirt, debris, and organic growth from your tile, asphalt, or even metal roof – ensuring it has a long, effective lifespan. Using skill and science, our team of cleaners can safely and effectively even the toughest dirt and grime. From dumpster pads, to walkways, commercial loading docks, driveways, parking lots, and everything in-between – we’re the go-to choice for concrete cleaning in Woodlands, TX! 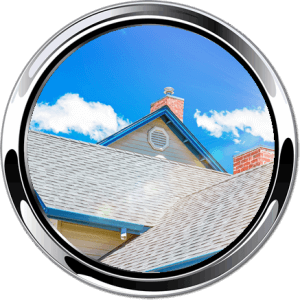 For your convenience, we also offer comprehensive window cleaning services! When you partner with Taskaway Services, you get an all-in-one home cleaning solution. 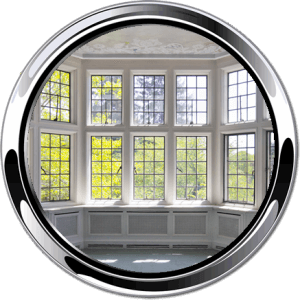 We can use advanced soft washing techniques to beautify your home, and then clean both your interior and exterior windows to leave your home totally restored, and enhance its curb appeal! Regular gutter cleaning is essential for the integrity of your roof and your home. Buildup of leaves, dirt, twigs, sticks, and other debris can cause serious structural integrity issues, and even cause nasty leaks and water damage – which can cost you some serious money! So trust us to clean your gutters. 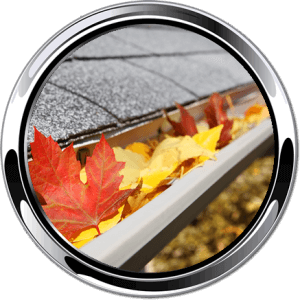 Whether you’re interested in a one-time cleaning or a regularly-scheduled maintenance plan, we can help you clean your gutters safely, easily, and quickly. We serve both commercial and residential clients, and we specialize in contracting with HOAs and property management companies. No job is too big or too small for Taskaway Services. 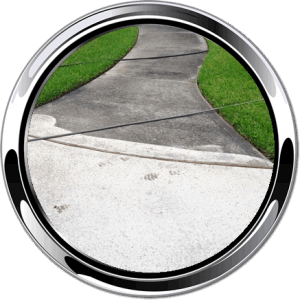 If you need the best pressure washing in The Woodlands, TX, and the surrounding regions, we’re the best in town!